The award will assist the City Law School doctoral student in carrying out his research into 3D printing and intellectual property law. 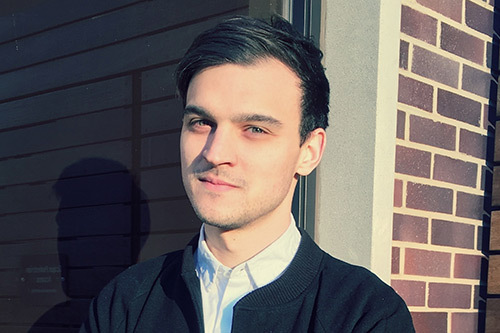 Plamen Dinev, a PhD student in the City Law School, is the recipient of the 2018 Modern Law Review (MLR) scholarship award. Plamen’s doctoral thesis focuses on the intellectual property implications of three-dimensional printing. His research interests lie in all major categories of IP law. Plamen is delighted to have received the award and is grateful to the City Law School and the MLR editorial committee for considering him for it. "I would like to thank Dr Luke McDonagh, Dr Enrico Bonadio and Professors Panos Koutrakos and Jason Chuah". Since 2003, the Modern Law Review has made available an annual amount in financial support for research students engaged in doctoral research at a university in the United Kingdom on any subject broadly within the publishing interests of the Review. The scholarship will assist Plamen in carrying out his research in the United States. His research supervisors are Dr Bonadio and Dr McDonagh. Plamen’s research focuses on the intellectual property (IP) aspects of 3D printing. He is analysing this cutting-edge and technically difficult area of IP law with dedication, passion and care for details. The prestigious MLR award is a well-deserved recognition of Plamen’s hard job, enhanced critical skills and academic potential. Dinev, also a Graduate Teaching Fellow and Visiting Lecturer in the City Law School, holds an LLM from Leiden University and completed his LLB (Hons) at the University of East Anglia (UK) and Uppsala University (Sweden).